The Flaming Lips To Release Greatest Hits Compilation - GENRE IS DEAD! 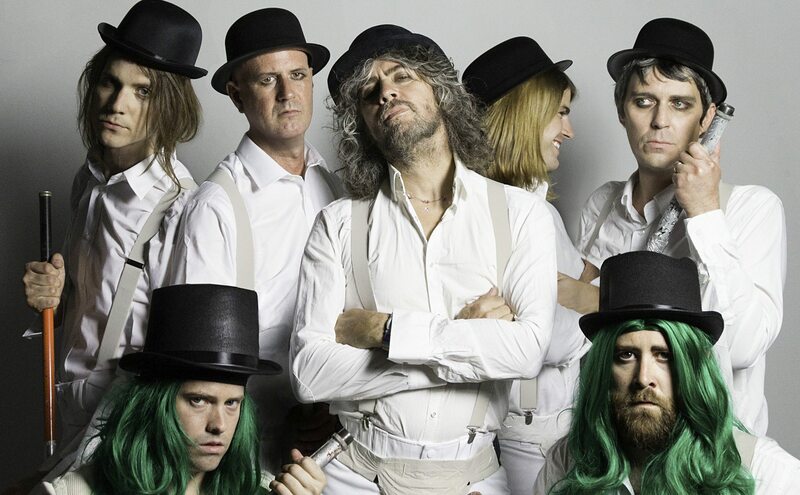 The Flaming Lips announce their first official hit collection on Warner Bros. Records to be released on June 1. Greatest Hits Vol. 1 will compile eleven WBR-era singles and album tracks on a single black vinyl pressing. This is the first time The Lips have presented singles from Transmissions From The Satellite Heart (1993), Clouds Taste Metallic (1995), The Soft Bulletin (1999), Yoshimi Battles The Pink Robots (2002), At War With The Mystics (2006), Embryonic (2009) and their current album Oczy Mlody (2017) on a single disc. The Deluxe digital and Deluxe 3-CD Edition of Greatest Hits Vol.1 significantly expands the concept of their hits and gathers some of their best-loved album tracks from the aforementioned albums plus deep cuts from their WBR album debut, Hit To Death In The Future Head (1992), along with music from, Zaireeka (1997), The Flaming Lips And Heady Fwends (2012) and The Terror (2013). The Deluxe Edition will also compile a generous hatful of International single B-sides, studio outtakes and several previously unreleased tracks to present an essential view into the extraordinary body of work from one of the most influential and enduring rock bands of all-time. To make things even more exciting for fans, Rhino Records and Warner Bros. Records celebrate Oklahoma’s most famous freaks with an ambitious reissue program, including two releases recorded in 1991. Scratching The Door and Seeing The Unseeable, a 6-CD box released June 29, gather up early Lips album and rare cuts also remastered by The Lips and Fridmann.